Vietnam’s elegant capital of Hanoi is dotted with pagodas and tree lined boulevards where cyclos weave in and out of the traffic. More than half a century of war and isolation has given these lands, and their people, a sense of dignity. It’s exotic and adventurous and absolutely never boring. Try Kayaking in Halong Bay , marvelling at the 14th century Cham ruins at My Son, relaxing on the pristine beaches of Nah Trang and exploring ornate temples, ancient cobblestone streets of Hoi An and the modern high rises of Ho Chi Minh City more widely known as Saigon. It is a land of Rugged Mountains, lush forests, dense jungle and verdant rice paddies with unspoiled beaches, bicycle thronged cities and peaceful rustic villages. Whether you choose the hustle and bustle of the city in Hanoi or Saigon or the coolness of Dalat taking a tour of this fascinating country will not disappoint. Arrive into Hanoi and take an afternoon city tour including a one hour cyclo journey where you will enjoy an orientation of the tree-lined streets of Hanoi, followed by a walking tour of the Ancient Quarter, a densely populated corner of the city where ancient homes and temples are interspersed with stores in this souvenir hunter's paradise. In the early evening your cyclo (pedicab) awaits to take you to the theatre where you will experience the ancient and unique art form of water puppetry. 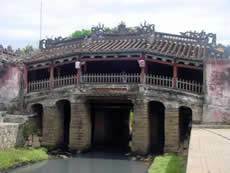 Visit the Ho Chi Minh Mausoleum and the simple house where Ho Chi Minh lived and worked. Then take a day cruise in Halong Bay often called Vietnam's eighth wonder of the world, you will meander around the bay stopping off at an islet to explore the series of breath-taking caves and grottos. Flight to Danag and an excursion to the unique trading town of Hoi An. Visit the Japanese covered bridge and a Chinese communal house, shop for art at one of the numerous galleries and enjoy the riverside ambience. This morning you will travel by road along Highway One and over the spectacular Hai Van Pass to Hue. Once the religious, economic and cultural epicentre of Vietnam, the proud city of Hue was reduced to ruins during the Tet Offensive of 1968 but today has regained it's royal demeanour and is a calm, peaceful and relaxed place to visit. This morning fly to Ho Chi Minh City better known as Saigon. On arrival in Saigon take a short city tour to discover the contrasts of this bustling city before taking a tour of the former Presidential Palace to include the reception and dining rooms of the President's quarters now retained as a museum. In the afternoon, visit Cholon, with its impressive Thien Hau Temple, and Binh Tay market and on your return journey stop off at the tiny Cao Dai temple. Visit the infamous Cu Chi Tunnels, the vast underground network of tunnels first built as a defence against the French and then later expanded during the American war. 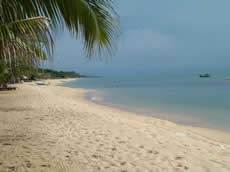 Enjoy your last morning at leisure in Saigon before either returning to the UK or extend your holiday with a stay on one of the stunning beaches the country has to offer.